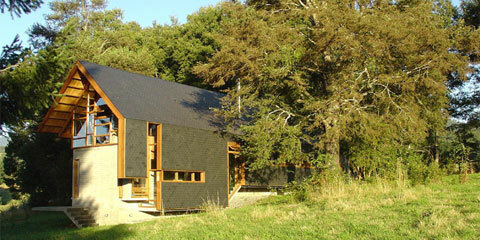 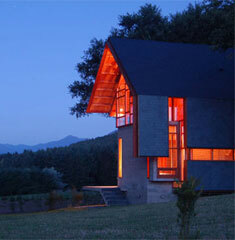 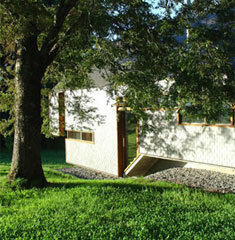 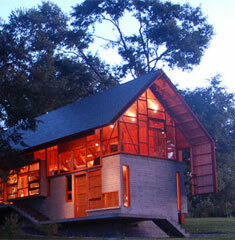 Dos Robles House, projected by Diego Aguilo and Rodrigo Pedraza, is located between Pucón and Caburga in Chile, near the Trancura River. 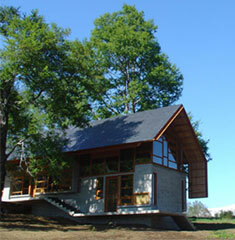 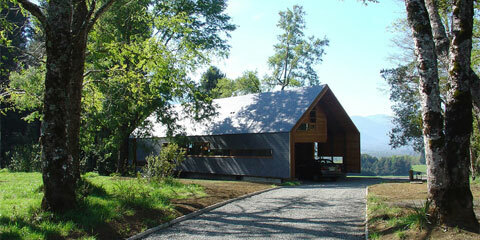 It is a weekend house for a couple with grown children, that has more than one room to receive guests. 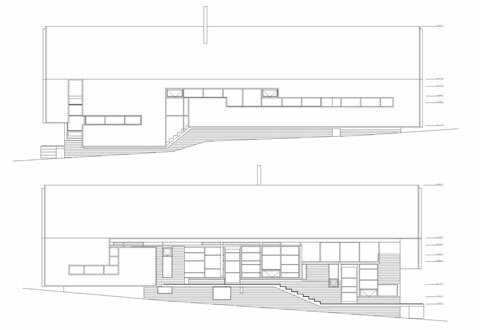 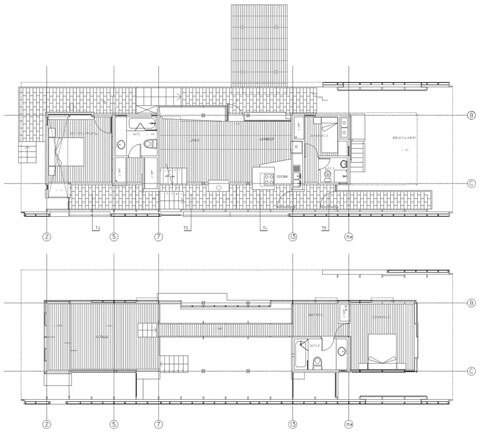 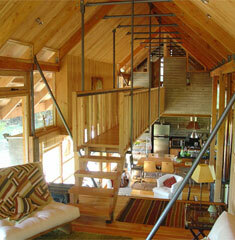 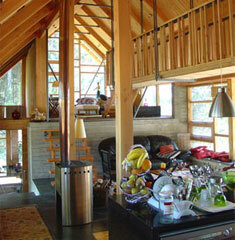 The big living area is lofted to two mezzanines that are connected through a suspended passage. 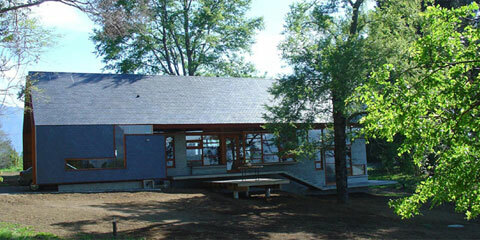 The house also has a terrace facing northeast.